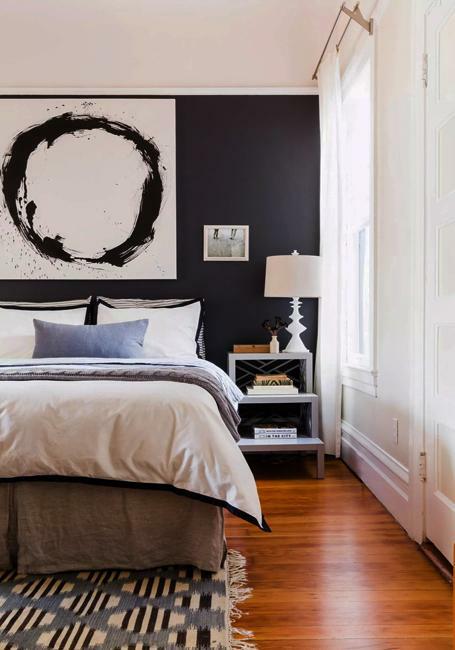 Bedroom decorating with black wallpaper is one of the latest trends. 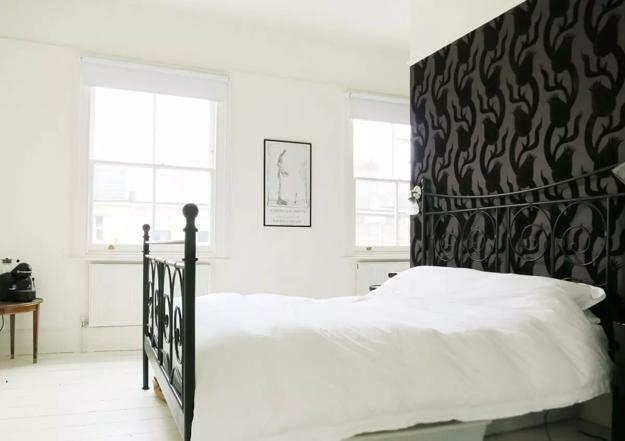 Black wallpaper is practical and stylish solutions for bedroom designs. 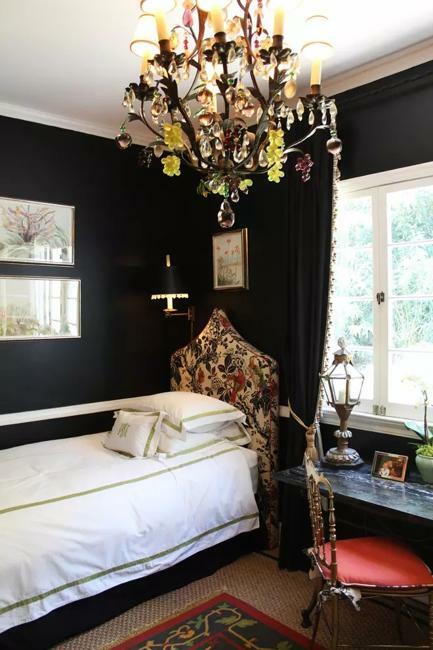 Black adds a romantic, mysterious feel to modern bedrooms and creates a beautiful background for bedroom furniture, chandeliers, and wall decorations. Bedroom decorating with black wallpaper is fun. 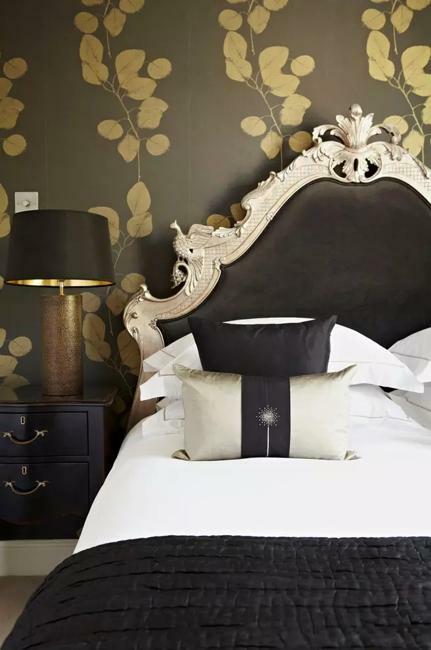 Check out the Lushome collection of ideas showing how to bring elegant black wallpaper into your bedroom. Black wallpaper comes in various patterns, and decoration of your walls can look even more beautiful. 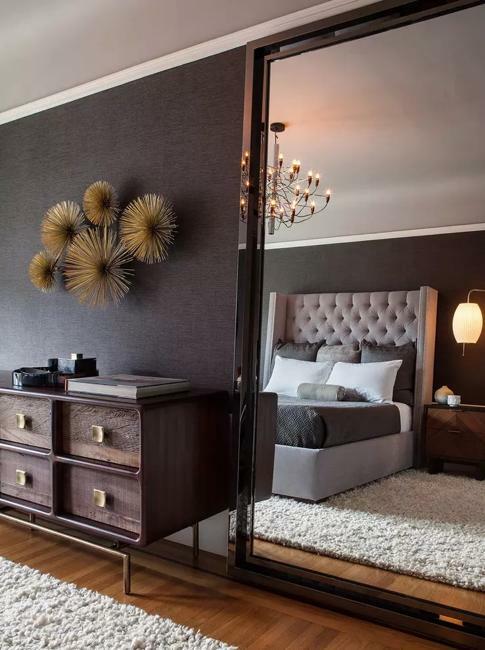 Black on black designs are excellent ideas for accent wall design and adding depth to bedroom decorating. Geometric patterns, pixels, floral wallpaper, birds, butterflies, trees, and animal skin designs personalize bedroom walls and add a unique character of your room decorating. 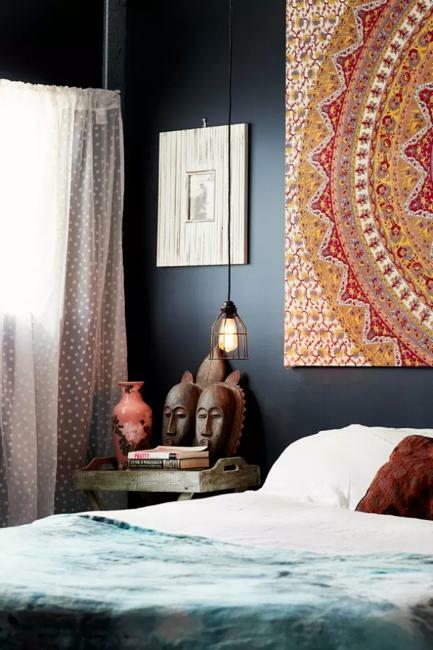 Lighter tones on black patterns never look outdated. 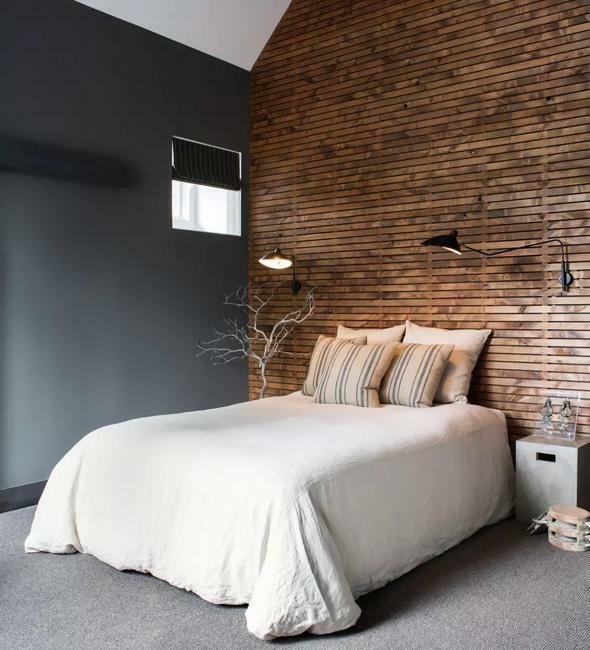 A wide variety of black wallpaper patterns allow creating fresh, exciting, and modern bedroom designs. 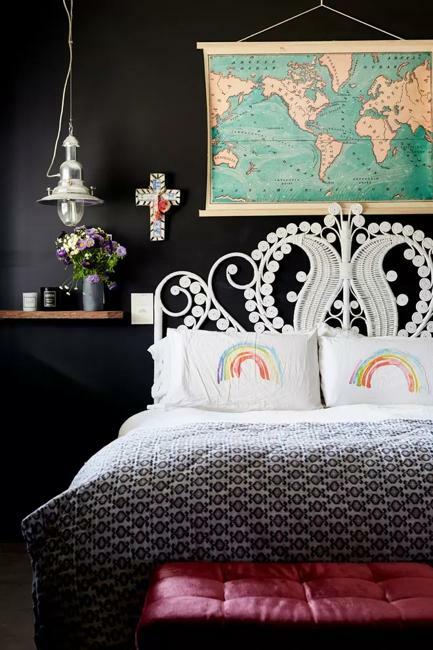 Black wallpaper is an attractive way to create contrasts and bring fun into traditional bedroom decorating. 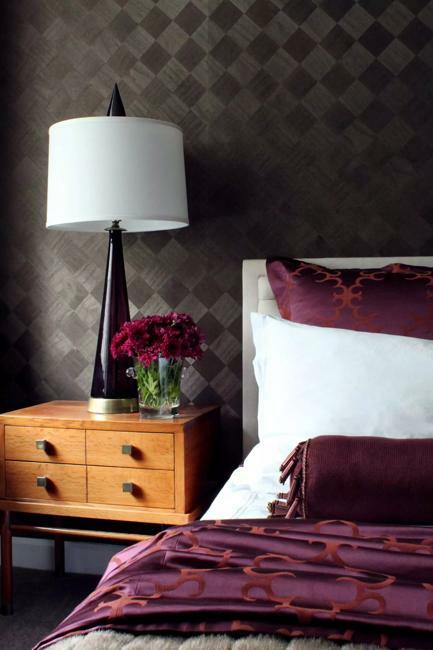 Modern wallpaper patterns on black backgrounds offer exciting, unconventional ways to brighten up the interior design. Here are a few tips on how to do that. Black wallpaper or patterns on black can solve many problems. 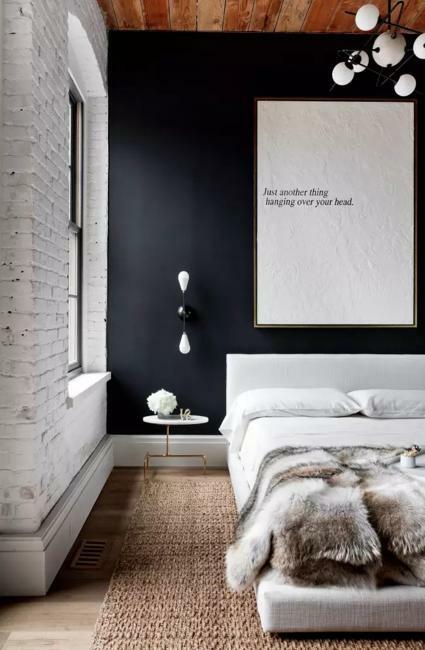 Black calms down an interior design color scheme, add coziness, and create a unique look. 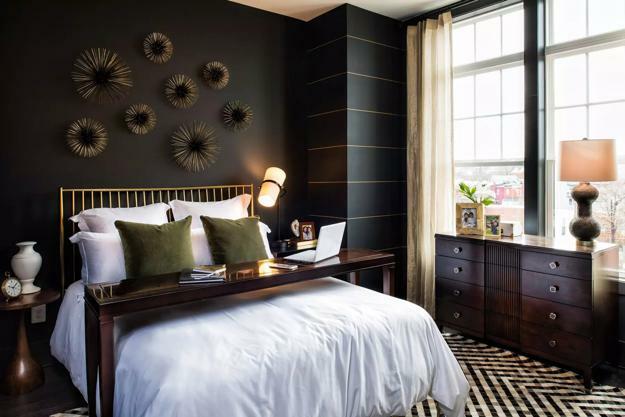 Black on black wallpaper patterns or a combination of light neutral colors with black work well for all interior design styles, and blend harmoniously with all decoration patterns. 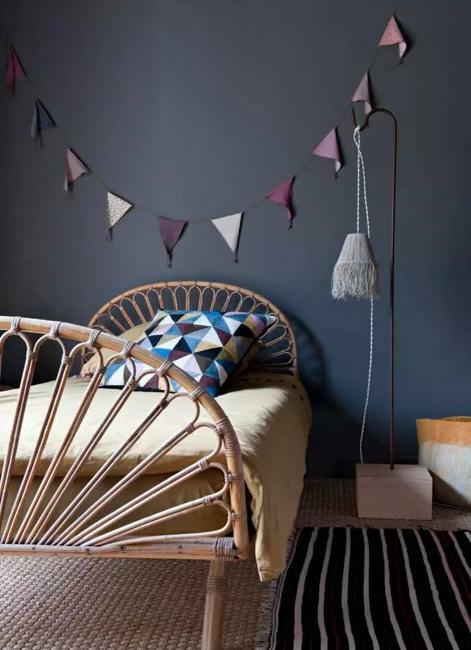 Stripe, abstract, floral wallpaper or fantasy designs are excellent decorating ideas for a fun effect. 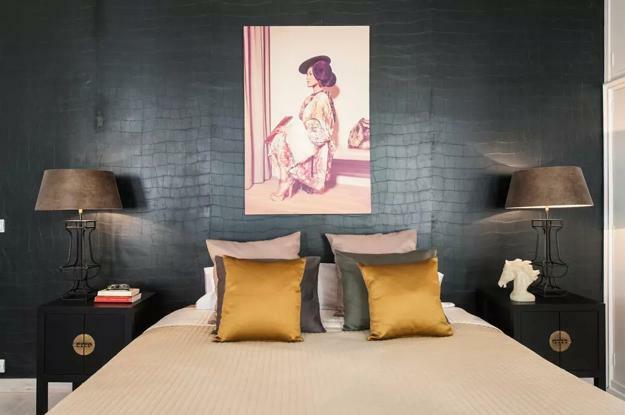 Black wallpaper is ideal for masculine interior design and balancing feminine and masculine energies in bedroom decorating. 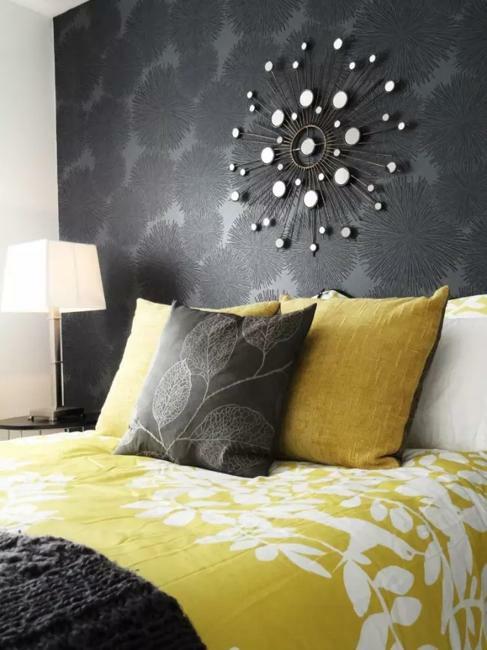 You can use black wallpaper to ground the room and add black and white patterns to harmonize the room design. 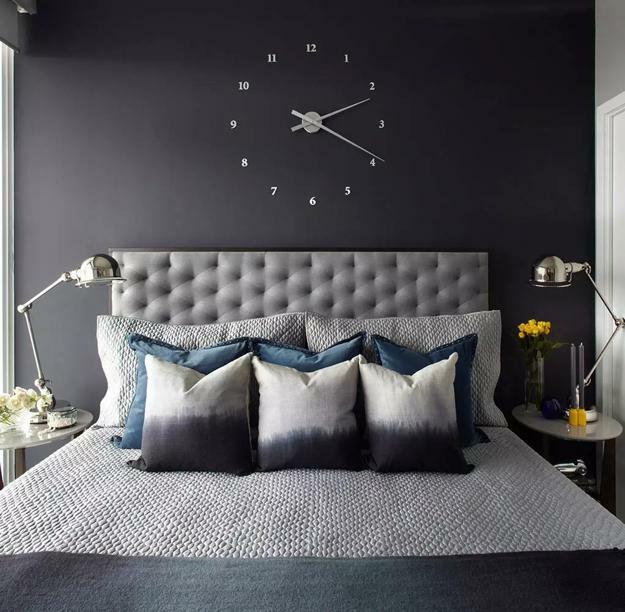 A darker accent wall in your bedroom creates balance and interest. 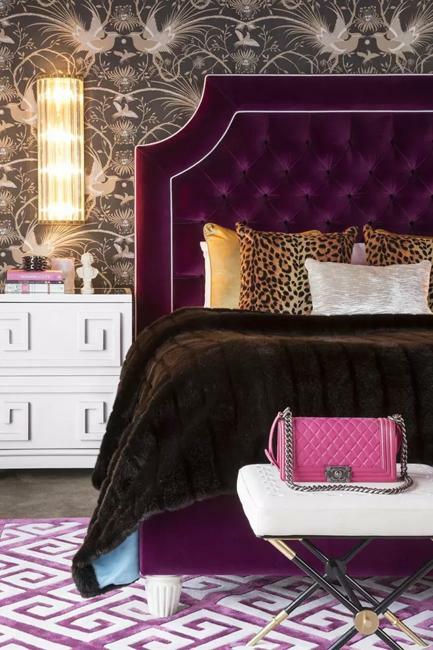 Then adding a different color with fabrics, furniture, and decor accessories is easy and bring more chic into bedroom design. 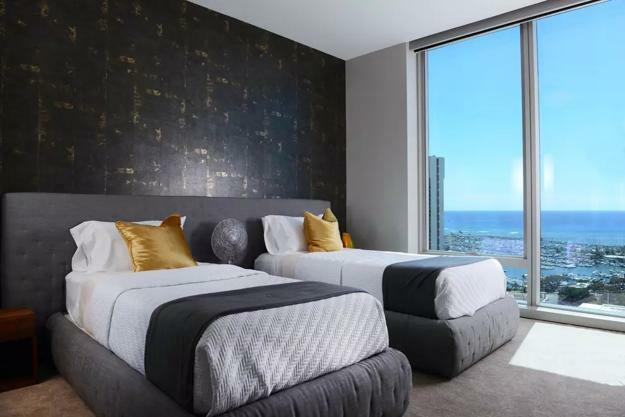 Black wallpaper, with a pattern or solid, are a fabulous idea for bedroom decorating that allow playing with various color schemes and enjoying your favorite colors.